Deoriya Tal or Devariyatal is a lake at high elevation of 2438 meters surrounded by Rhododendron and Oak forests of Kedarnath Wildlife Sanctuary. It’s popular with tourists, but there is relatively little development around the lake. High Chaukhamba peaks sit crisply behind the hills, casting their reflection into the motionless waters. Deoriya Tal trek is renowned for this reason. To reach Deoriya Tal one has to trek for 2 KMs through rocky trek path from the starting point Sari village which lies on the Ukhimath Gopeshwar road. 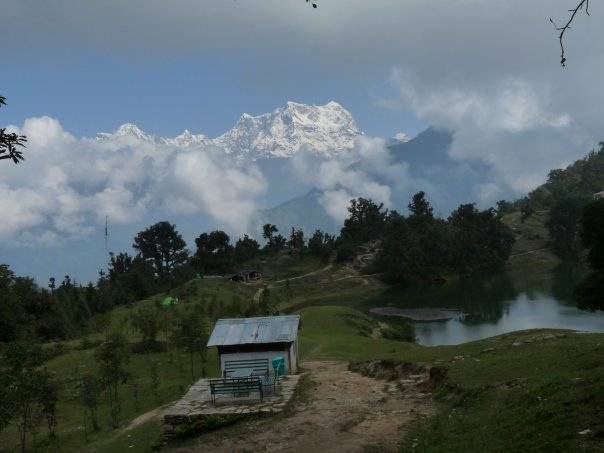 Deoriya Tal is near Chopta and Tungnath temple.